Former Real Madrid star Michel Salgado believes Unai Emery is a special coach, but is someone who faces problems in handling big-name footballing icons. Unai Emery was appointed as the manager of Arsenal at the starting of the current season, but the Gunners are still adapting to life under the Spaniard. The Londoners are currently fourth in the Premier League table, 14 points behind the leaders, Manchester City. They are chasing a place in the top 4 and are now closer to their target, especially after the promising 2-0 victory against Manchester United. Emery has received a lot of praise for promoting young talents in the team but he also faces an equal amount of criticism for his handling of some established players like Mesut Ozil, who hasn't regularly featured at all. 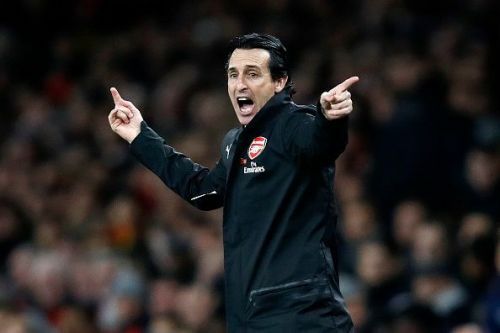 Speaking to US network Stadium (via Goal), Michel Salgado said that Unai Emery is a special coach but needs to learn how to deal with egos. “He’s a special manager like [Rafa] Benitez. He needs a squad with no big names, with no big egos. He cannot handle big egos. He needs a squad with team-work players, players that he can shape, that he can develop, that he can get into his system. “Then if he’s got depth in his squad and the right players to work for him during the season and they follow him and are ready for it, then he can get results like he did in Sevilla, winning three Europa Leagues back-to-back because the players were ready for him. They were great players, but no big egos, no big names. I think he needs to learn how to deal with egos. He’s still learning. I know in PSG it was difficult for him because those were really big egos. Arsenal will play Rennes in the second leg of the Europa League round-of-16 tie next before facing Newcastle United in the domestic league, on April 2.